Here is a wintery card in blue made from the new Glistening Season collection. Mona V, this is the sweetest card ever! 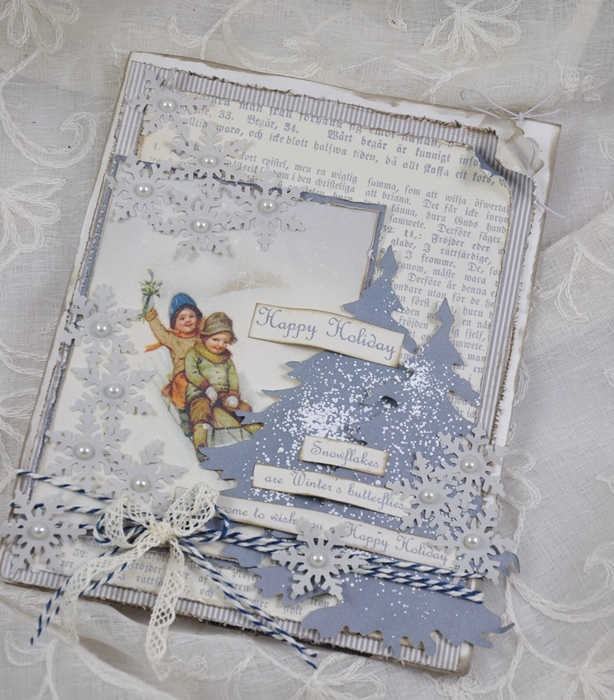 Love the paper, the sweet images and the die cuts/distressing. You put this together perfectly!